Irene Dreayer (Dray), Hollywood’s kid talent expert and trusted career coach for kid talent, is a 30-year veteran of family programming. She has produced many network TV sitcoms, movies, pilots, and discovered some of the biggest kid stars in the business. Dray is a long time Executive Producer for The Disney Channel, The WB (The CW) and ABC Family (Freeform). She executive produced the longest running show on The Disney Channel, The Suite Life of Zack and Cody and The Suite Life on Deckas well as bringing the show’s stars Dylan and Cole Sprouse to Disney. Ms. Dreayer discovered identical twins Tia and Tamera Mowry at the early age of 13 to star in The WB series, Sister Sister, that she executive produced for seven seasons. Ms. Dreayer has also produced several TV movies including THE SUITE LIFE ON DECK television movie for Disney Channel, LEGALLY BLONDES with Reese Witherspoon for MGM, Disney Channel and ABC Family, DESPERATELY SEEKING SANTA for ABC Family, RECIPE FOR LOVE for Hallmark and THE TREE THAT SAVED CHRISTMAS for UP TV. 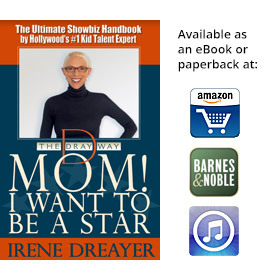 The Dray Way, founded by Irene Dreayer, is an entertainment career coaching service for kids and a digital community that helps parents and kids navigate their way through show business. Ms. Dreayer works with kids from all over the world via Skype offering guidance, audition coaching, acting, vocal coaching and career consultation for parents. The Dray Way also manages tween talent and is currently developing original content for TV and the web for Tweens and Teens. The Dray Way Website is an ecommerce site offering free advice to parents and their aspiring showbiz children. 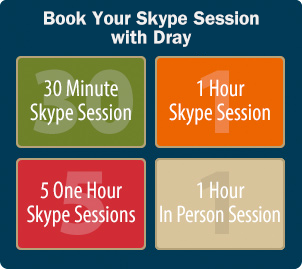 The site also enables parents and kids across America and worldwide to book a private “in person” or Skype consultation with Dray. Visit the website to learn more: http://thedrayway.com. The Dray Way Facebook page is a community of aspiring talented kids and features a contest that allows kids to post video submissions to win the title of “Dray Kid.” (http://www.facebook.com/thedrayway) Each winner gets a free Skype consultation with Dray.